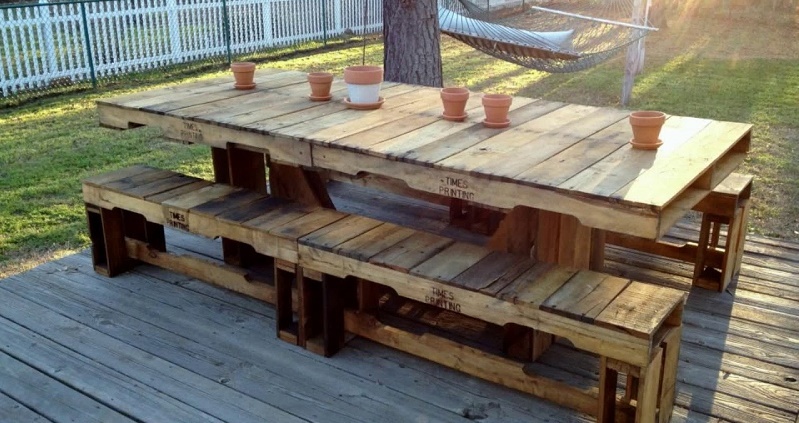 The furniture pallets of wood we all know are becoming an art. 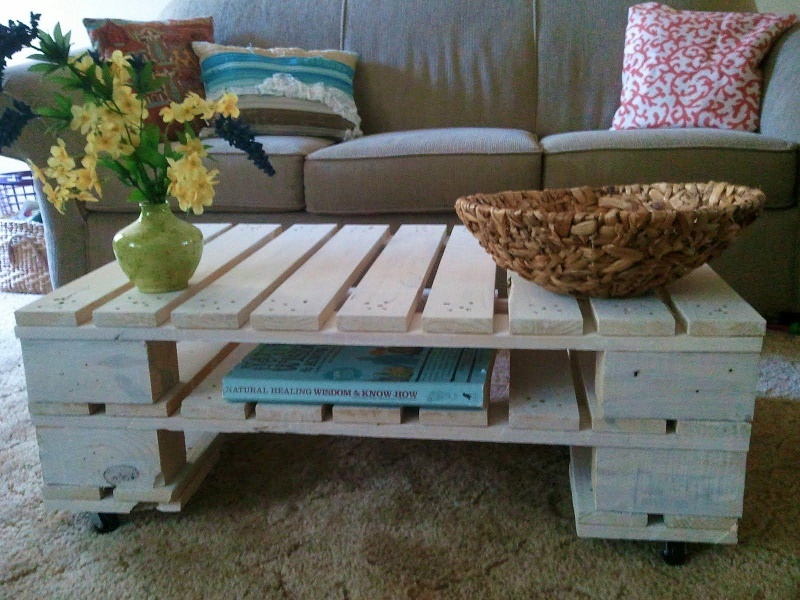 Also called pallets or furniture pallets. The wooden pallets are reaching their peak in design, with fresh decoration ideas for their use that are also transforming spaces and transferring their usual recycling to the borders of the most modern architecture, the most spectacular gardens or simply as a socializing element. So we’re going to try to unravel everything we should know about the types of pallets, designs, and projects that make up an exquisite trend. Although in the industrial sector we can find a wide variety of the of the pallet, more for a typology of materials (plastic pallet, fiber wood, metal, cardboard, and, conglomerates) or exact measures according to the needs of the employer. It is necessary to indicate that according to the regulations of each country. In the case of the west, there is a specific one for the whole territory. They establish specific characteristics for the types of platforms that we can find. Commonly referred to as ” American pallets ” which is what is normally used in the sector of industry and goods, with dimensions of 1200 x 1000 in millimeters and are what we normally find in many dumps. The truth is that we have an abundant range of which we can use them in full or dismantle them and with the slats and slats start designing pallet furniture with the shapes that we create appropriately. In the market, there is a wide variety of range in the price of pallets and more, whether they are second-hand or new, and even if we buy them online, they are cheaper. The purchase – sale of this type of pallets is very lucrative, and we can find them painted, with thermal treatments … etc. But … When does a European pallet cost? … On average we can get between 20 to 25 Euros, without treatment, without counting transport costs and a euro pallet, if they are used, at less price, and I already commented that there are many places where you can get them at cheap prices and on all in those that are dedicated to the sale of second-hand construction material. There is a good place to start looking! The assembly instructions in PDF are from the basurillas.org portal and are in a separate format HERE and HERE respectively in PDF. A good place where more information on the subject is also offered. 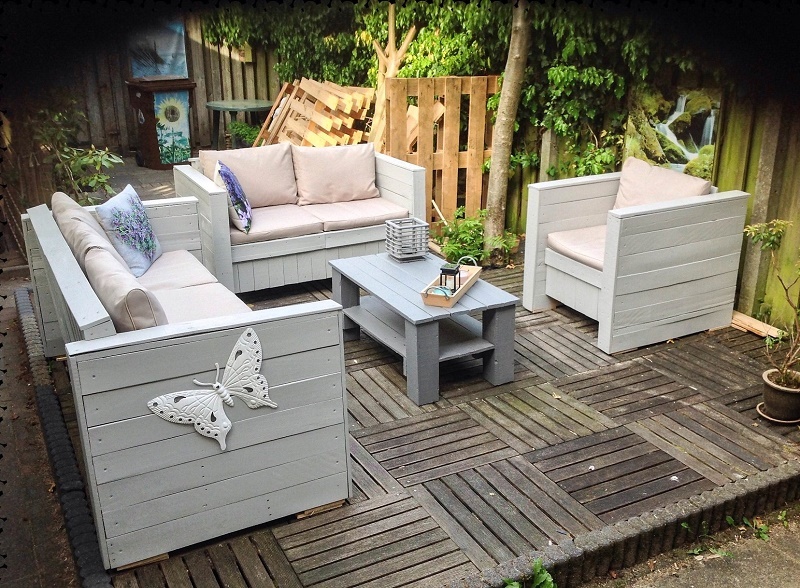 Examples of pallet furniture you can find many in the vast Internet network, as well as explanations. How to make them and necessary photos to be able to search for the original furniture step by step (At the end of the article we indicate two specific communities), but in this article, we are more interested in exploring what is behind it. It is not only producing a design, but it can also be a weapon of coexistence and teaching. An example is this workshop for creating stools in a design process that was held at the Noarderias festival. 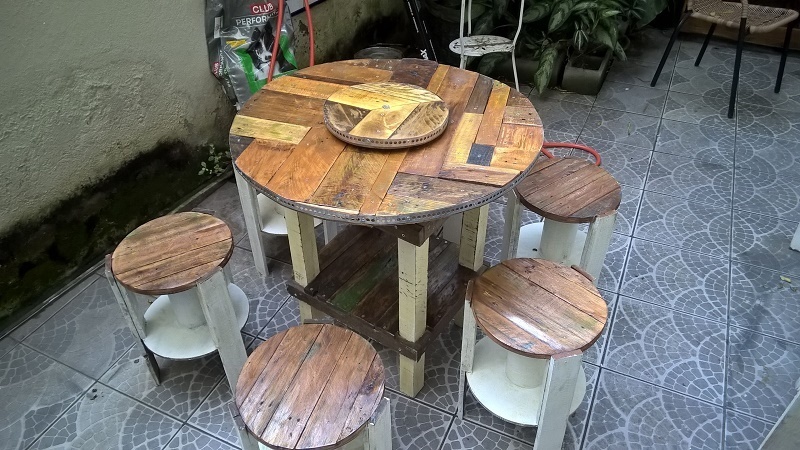 The how to recycle pallets depends more on the individual’s imagination than of his skill with your hands, can be better or worse, more accurate or less finished, but imagination plays an important role to be creative and original in design we surprise and surprise. Although at present the original meaning of the uses to recycle pallets is being lost, there are still initiatives that show a palpable benefit for society. We have to go to Johannesburg to see a social, creative wood recycling project that contributes to the community in a sustainable way. Mobile banks formed by different uses of wooden pallets recovered by the creative artist r1. The functionality of socializing, although it seems strange to attribute this term to the pallet, in truth for its low cost and adaptation to space or environment, it is possible to create a city, and we see this in Grantville City. A city built with 4,250 next to Ghent (Belgium) that every year forms a wonderful festival where the protagonist is pale. Who for years would think that you can build a house with pallets or mount a facade? The “manifest house” is an example of a modular, sustainable and eco-efficient structure, designed by James & Mau Arquitectura, as a concept project for the construction company, Infiniski. A greenhouse collects the best of recycling in combination with bioclimatic techniques. Here the facade is made entirely with different sizes of pallets. (We can also visit wooden constructions where we also add more than 50 wooden manuals) but what we are going for are designs with quality pallets. Following the same line, I-beam design wants to go a little further by democratizing the houses with this type of material and converting them into a modulating element that will come from the factory so that you can build your home with all the pieces. For commercial interior design in the aspect of furniture with pallets is also an option if they are treated well and with ideas of quality. One of the examples that I admire is this original store cafeteria!